The Texas Observer reports that power plants are leaking cancer-causing toxins into groundwater across Texas, citing a report produced by an environmental group. The Environmental Integrity Project (EIP) found that ALL of Texas’ coal-fired power plants have polluted groundwater with multiple chemicals, including arsenic, which was detected at 13 of the 15 sites. In 1975, Alonzo Peeler Jr. figured that selling a small section of his ranchland to a power company was a sage financial move. Now 78, the lifelong rancher says he never would have guessed that San Miguel Electric Co-op, which operates a 440-megawatt power plant 65 miles south of San Antonio, would transform the property into a dump for toxic waste, contaminating groundwater and killing vegetation. And Peeler, who took the company to court over the pollution in August, is shocked that San Miguel Electric Co-Op is seeking to seize one-third of his ranch through eminent domain to avoid cleaning up their act. 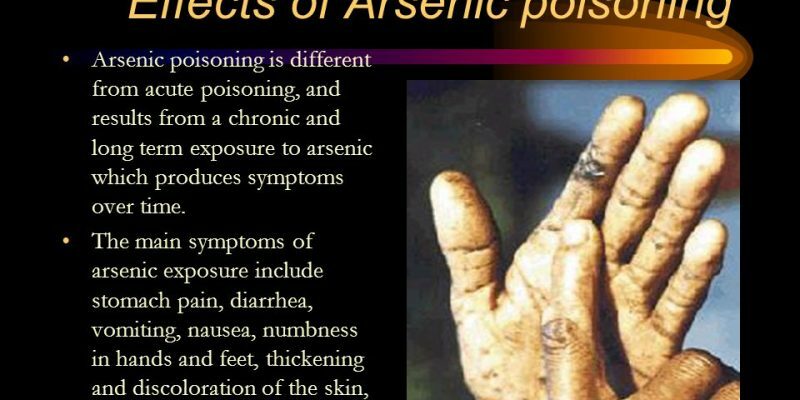 The main symptoms of arsenic exposure include stomach pain, diarrhea, vomiting, nausea, numbness in hands and feet, thickening and discoloration of the skin, partial paralysis, and blindness. Across Texas, coal ash contaminants have leached “into groundwater, poisoning drinking water aquifers and harming aquatic life in nearby surface waters,” the report states. All 16 plants for which data was available evidence tainted groundwater supplies with coal ash waste. All but “one or two” have not properly lined the bottoms of their disposal ponds. EIP’s report suggests that widespread coal ash pollution covers South Texas, throughout the Gulf Coast, stretching to the northeast corner of the state. Near San Antonio’s Calaveras Lake, CPS Energy’s J.T. Deely Station, spilled out 1,300 tons of ozone-producing nitrogen oxides in 2016 because “improperly lined coal ash pits leaked unsafe levels of beryllium, cobalt and lithium into groundwater,” the EIP report states. AEP’s Welsh Unit near Mt. Pleasant and Luminant’s Big Brown near Fairfield, were also cited in the report.